For someone trying to beat traffic running across a street, hope the vehicle you're dodging is a 2013 Honda CR-V crossover. This recently revised crossover utilityvehicle (CUV) was designed to prevent injury to pedestrians wanting to play bumper tag in mid-street with a few thousand pounds of moving sheet metal and parts. The CR-V for Americans is purposely built in the U.S. for contemporary buyers whose lifestyles can vary from city dwellers to the beach crowd to those who love the countryside or wide open spaces. In true CUV fashion, according to Honda, it is meant to morph from comfortable daily driving, shopping trips and package carrier duties to light purpose off-roading if the occasion calls for it. For full review, click here. When technology goodies on cars was an emerging trend, a junior technology buff complained it all went on “older people's cars.” Well yes. They were the ones who could afford it at that time. Fast forward a score or so and biting edge technology is now the domain of the brash and under-aged Twilight genre. It's been softened a bit for the rest of us, if the newly redesigned 2013 Acura RDX crossover is any indication. At Road & Travel Magazine, we remember our first turn around the block in the original RDX a half-dozen years ago, fast, agile and unapologetic; its lux credentials muted enough to balance its turbo-charged performance gusto. That was something we loved as driving geeks. But RDX buyers were hinting they wanted something more, like enhanced ride quality, more pampering, better fueleconomy and maybe a shade less in- your-face on the technology side. Back to the drawing board. To continue review, click here. When sport utility vehicles lost favor with a lot of American consumers a few years back and sedans didn't fill the need for flexibility and more space, auto makers came up with a new package to offer the best of both worlds. 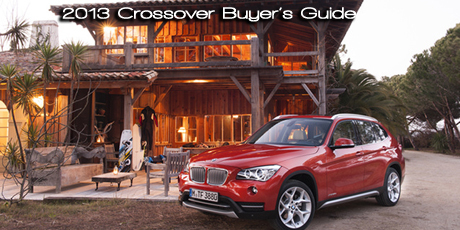 No one knew for sure what to call it until someone suggested “crossover or CUV” for crossover utility vehicle. The name stuck. For drivers ready for a new, more adaptable driving flavor, the idea also stuck. And the vehicle that some think of as a softened SUV or a wagon on steroids became a hit. Since the CUV emerged as its own sub-classification it has continued to evolve, adding flash and dash to its utilitarian underpinnings, zip to its performance, comfort despite its expanded character and in many cases coddling its drivers with luxury details normally found in a premium auto. Let’s face it; the flexible CUV is getting lots of attention from the people who develop them and the people who buy them. Snow might be pretty to look at, but it sure makes vehicle maintenance (and driving) more of a chore, doesn't it? Check your anti-freeze/coolant to provide the correct level of protection required in your driving area.